Join the September LDL today! Many of the weekly Turbochargers you read are the stories of engaged leaders in Turbo’s Leadership Development Labs. These stories can be funny, and are always informative and inspiring. Now is your chance to write a new inspiring chapter in your journey of growth and achievement in September’s Leadership Development Labs. Your story can include your courageous actions, clear communication, renewed enthusiasm and how you empowered your team to peak performance—all benefits of the LDL. The LDL is an action-oriented participation program designed for owners, managers, foremen, key staff and crew leaders. The Lab meets one evening per week for ten fun-filled weeks. Labs begin soon after Labor Day in Vancouver, Wilsonville and Beaverton. With the “Triple A—Action, Application, Accountability”—approach the LDL ensures an engaged, high performing team for your company’s success in 2016! To reserve your place call today! 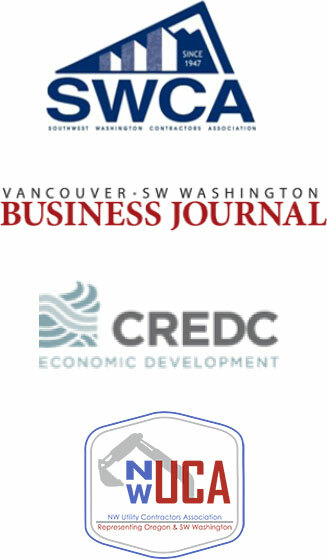 We are pleased to continue our partnership with the Southwest Washington Contractors Association, the Vancouver Business Journal, the Columbia River Economic Development Council, and the Northwest Utility Contractors Association as sponsors for this Fall’s LDL programs. Sponsors’ members are eligible for an association’s discount on each enrollment.